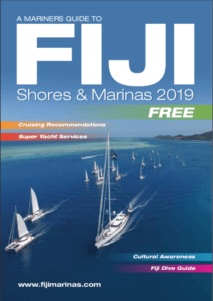 The marina is well positioned to provide a stopover for rest, recreation and provisioning during your cruising of the Fijian Islands. 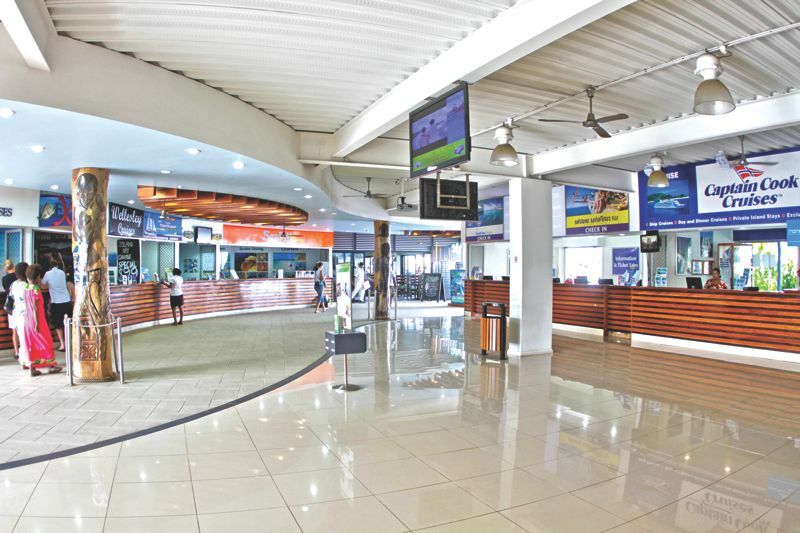 Situated on the western coast, it’s a short 20-minute taxi ride from Nadi International Airport, and only an hour to Lautoka city, which is a main port of entry. Port Denarau Marina is state of the art and is situated adjacent to the largest retail/restaurant complex in the Nadi area. Accessed through a well-marked channel that is 5 metres deep at zero tide. 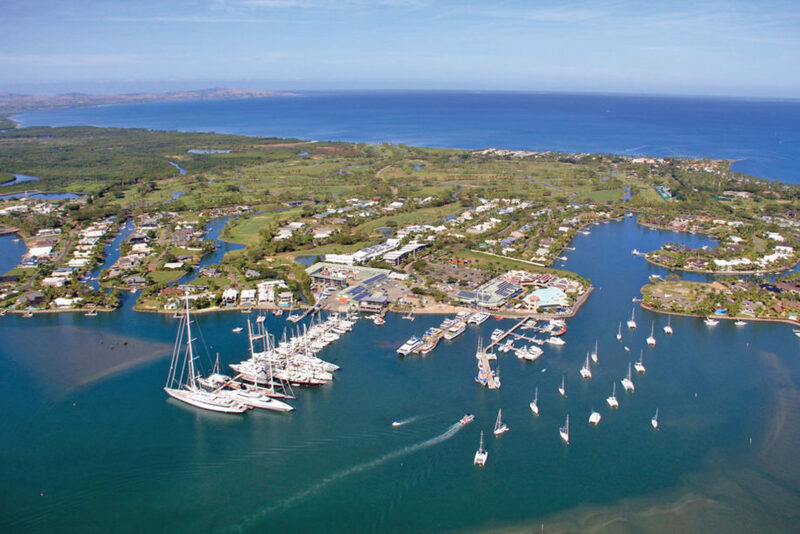 The marina contains 57 fully serviced berths for visiting yachts including 1 x 85m, 2 x 70m, 3 x 65m, 3 x 55m, 2 x 35m, 9 x 30m and 37 x 14-20m berths and 5m draft at low tide. 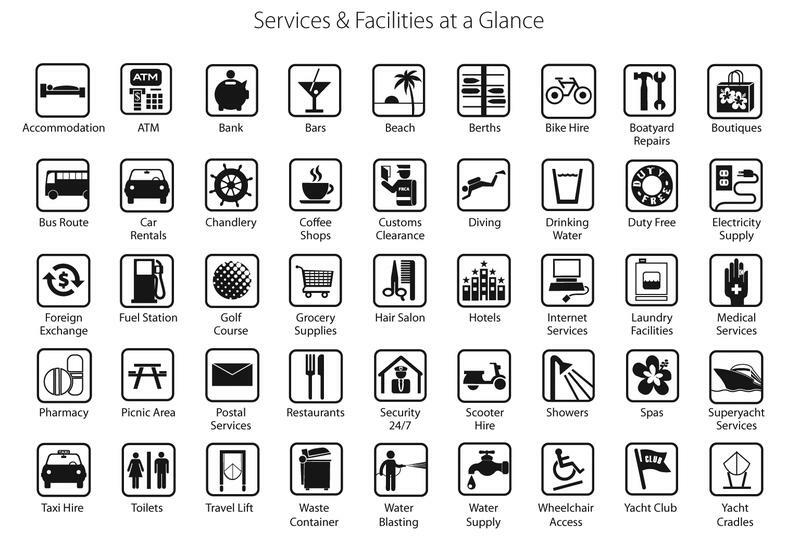 For our visiting guests we have full bathroom and laundry facilities with 24 hour security card access. The marina is covered by a 10mb WiFi internet connection and has full power, water and fuelling facilities. Diesel is reticulated to all superyacht berths for easy high speed transfers. Additionally there are 16 moorings within the marina basin. 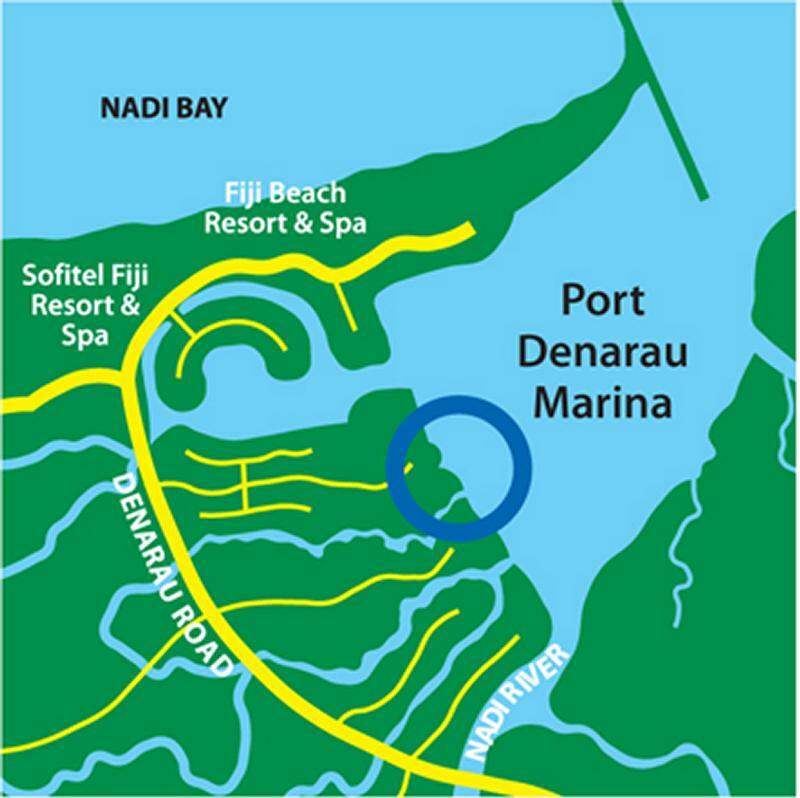 No anchoring is allowed within Port Denarau Marina limits but a good anchorage is available just to the east of the marina entrance markers. The marina is fairly well protected and offers in-ground cyclone holes and mangroves but is not a cyclone haven and must be evacuated in the event of a cyclone. Port Denarau Marina is a haul out facility providing the latest equipment that offers comprehensive marina services that includes a 50 tonne travelift, forklift services, a hardstand area, marine workshops, short and long term boat storage, and dry stack facilities. You will also find the following services based on-site within the marina complex: Engineering/ Welding Workshop, Hydraulic Workshop, Outboard / Jet Ski Repairs, Aluminum Fabricators & Boat Builder, Stainless Steel Fabrication, Repairs & Maintenance, Sail & Canvas Maker, Yacht Agents, Marine Chandleries, Painting & Antifouling, Dive Tank Refills, Gas Bottle Refills. Within the retail centre you will find a well stocked supermarket, bottle store, bank, money exchange, doctor’s clinic, pharmacy, clothing and souvenir shops as well as a wide range of bars and restaurants. 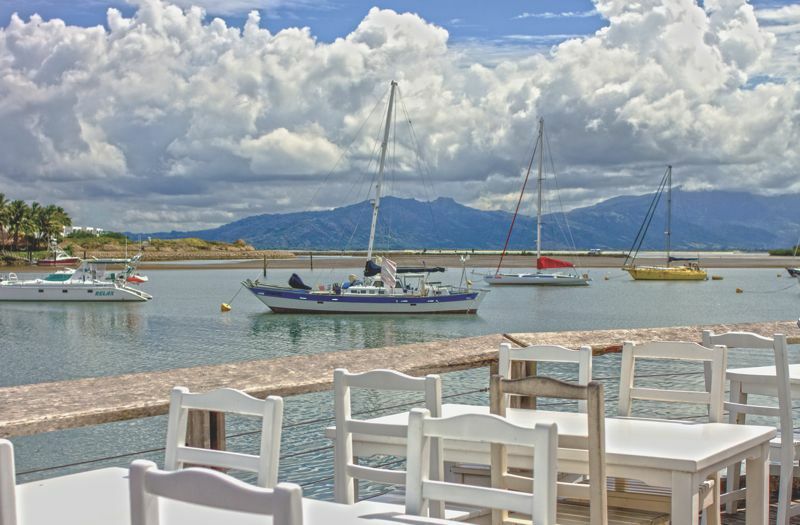 Ideally located in the marina, ‘The Rhum-Ba’, the Yacht Club incorporates a rum bar and modern dining on the ground level with a function and events facility upstairs. 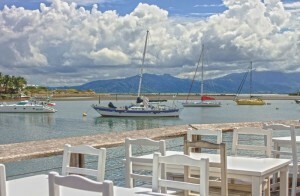 With a light and modern interior The Rhum-Ba offers expansive views to the north and east across the Port Denarau Marina and Jetty C. The facilities also provide opportunities to host more international yachting and game fishing events. Situated at the main marina complex you will find an array of companies offering trips to the islands and activities such as game fishing, Scuba diving, jet boat rides, hiking trips, camping trips, dinner cruises, parasailing, sky diving, banana rides, water skiing, wakeboarding, helicopter rides, island tours and much more…this place is geared for tourism. The Marina is walking distance to several international hotels that offer a host of recreational pursuits including an international 18-hole golf course, hard and turf surfaced tennis courts, the Denarau Mini Golf & Driving Range offering bungee trampolines, ten pin bowling, batting cage and mini golf. The Big Bula Water Park is great if you have kids – or are a big kid yourself! Spas are dotted around the island where you can be given a new lease of life if you are feeling a little weather beaten. The Marina complex is part of Denarau Island which is home to a suite of international brand named hotels if you feel like spoiling yourself or have friends / relatives flying in to meet you. All the top names are there; Worldmark (Wyndham) Resort Denarau, Radisson Blu Fiji Resort, Sheraton Fiji Resort, Sheraton Denarau Villas, The Westin Fiji Resort & Spa, Sofitel Fiji Resort & Spa, The Terraces, The Palms and Hilton Beach Resort & Spa. The marina offers an extensive range of ferry, water taxi and cruise operators catering to day trips and Island Resort transfers. Explore Denarau Island and get your bearings by taking a ride on a unique and open ‘Bula Bus’. Operating on a continuous loop departing every 15 mins from 7.30am – 11.30pm, 7 days a week! $8.50 for adults and $2 for children under 10 per day for unlimited travel. 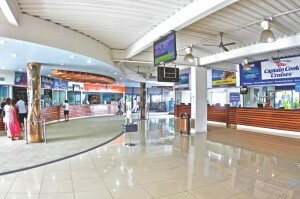 Nadi Town (larger) and Namaka (slightly closer) are only a short bus or taxi ride away. Denarau Taxi’s are safe, honest and reliable. West Bus Transport services Denarau Island and drops passengers at Nadi bus station 7 days a week. From the bus station in downtown Nadi, you can jump on a bus to Lautoka or ride all the way to Suva. Things to See & Do in Nadi. Got ripped off from one of the taxi drivers here! Had booked the fare previous day for Rocko to pick up from Radisson and transfer to airport however he passed the fare to another driver who charged us double the standard rate! Really not a good look when so many tourists using this service and we had good service from other drivers.